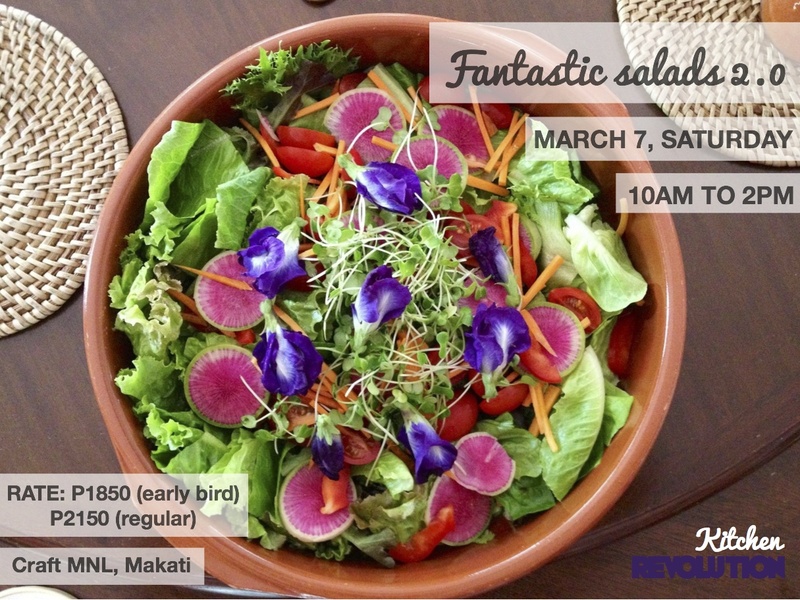 In FANTASTIC SALADS 2.0 cooking class, learn how to make 4 beautiful, nutrient-dense, and immune-boosting salads that will knock your tastebuds off. 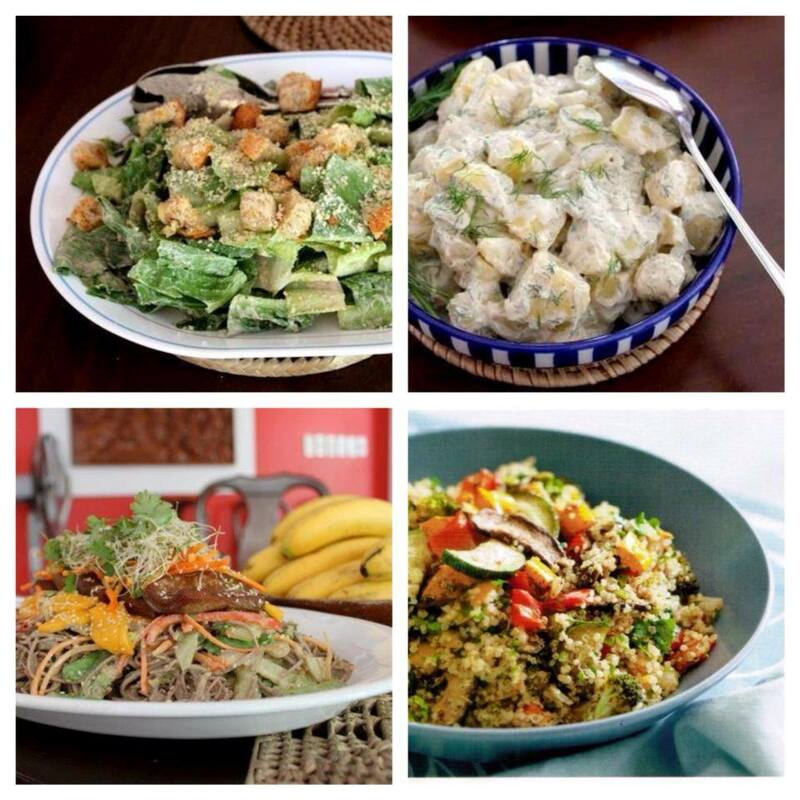 You’ll get familiar with different vegetables, fruit, grains, beans, herbs, spices, and seeds that you can use to create the salads of your dreams. 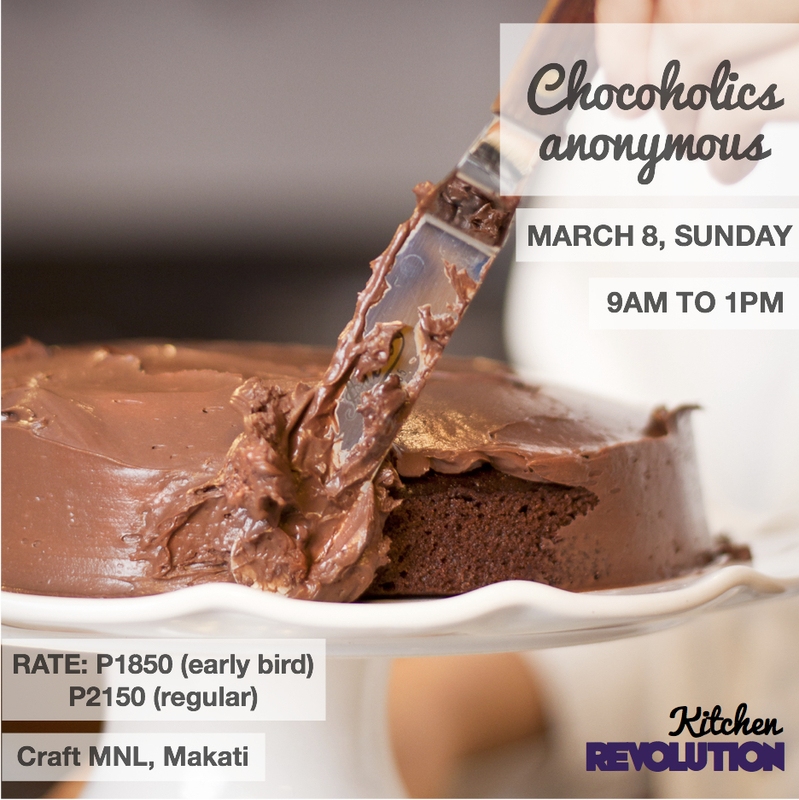 RATE: early bird rate of P1850 if paid by March 5 Thursday, P2150 after March 5. 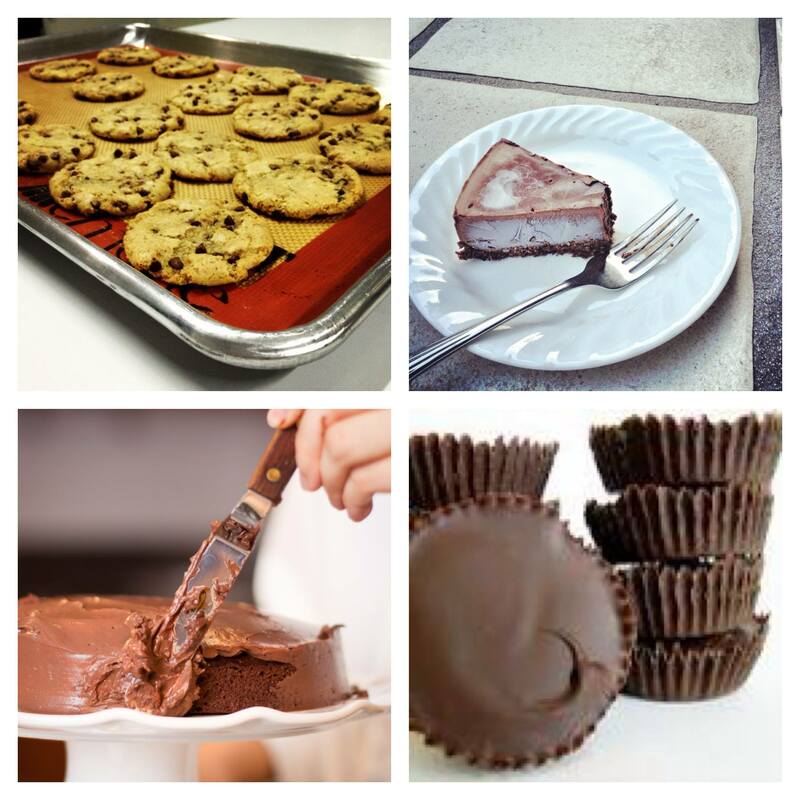 In CHOCOHOLICS ANONYMOUS pastry class, learn how to make more healthful, dairy-free, egg-free, and cholesterol-free variations of well-loved chocolatey desserts. In BODACIOUS VEGGIE BURGERS class, learn how to make 4 flavourful veggie burgers using all vegetarian ingredients. We’ll also make condiments and toppings from scratch! RATE: early bird rate of P1850 if paid by March 19 Thursday, P2150 after March 19. Hope to attend for the next schedule, I am still recovering from laparoscopic cholecystectomy Am really interested po. 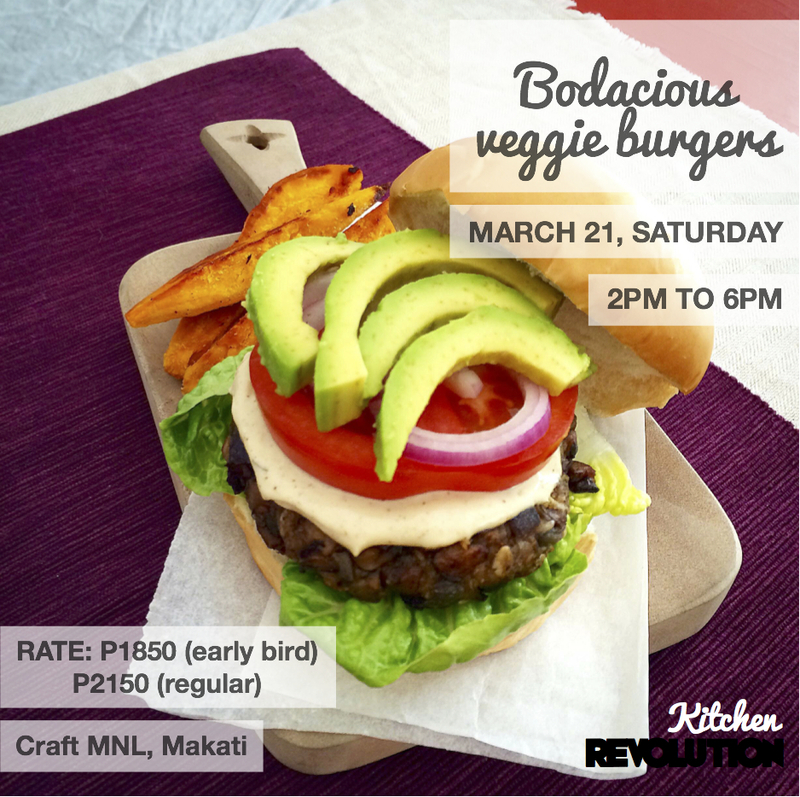 Hi Eleanor, adult classes resume in June but I have a veggie burger class happening next Saturday afternoon, April 26, in Makati! Will post details on the website today pls check.